Earlier in the week, I looked at the top internal candidates for the Twins open managerial job. Since Tom Kelly was hired in the 1980’s, the club has only hired managers with internal connections to the organization. Derek Falvey and Thad Levine might have a different plan in mind this time around. There are currently six open managerial positions (Angels, Orioles, Blue Jays, Rangers, and Reds), so the Twins will have competition for some of the top managerial candidates. If the Twins are going to look at external candidates, the club will need to make some swift decisions. Here is a look at some of the external candidates tied to the Twins. Qualifications: Mills spent eleven seasons managing in the minor league system of the Cubs, Rockies and Dodgers. 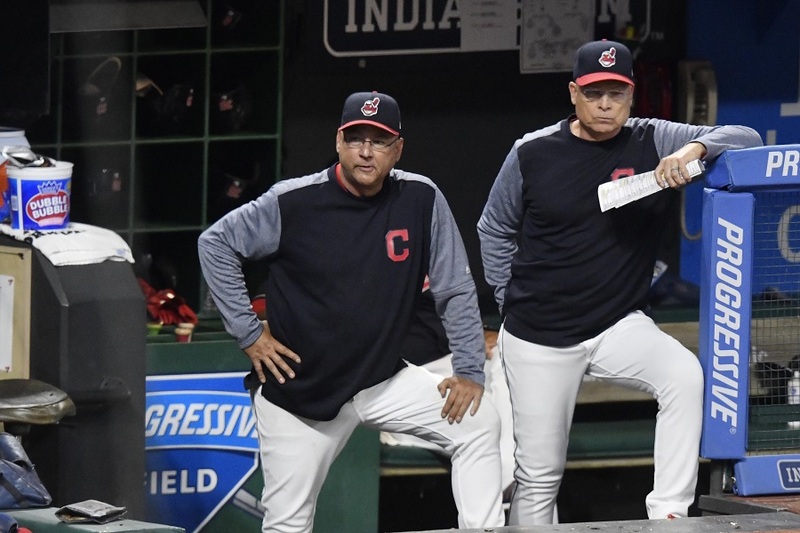 He has deep ties to Terry Francona as he was his first base coach in Philadelphia and his bench coach with the Boston Red Sox. Mills was manager of the Astros from 2010-2012, which included two straight 100 loss seasons as the club looked to rebuild. Qualifications: His coaching career started as the catching instructor for the New York Mets organization. He has been on the Indians staff since the 2010 season and served as the interim manager at the end of the 2012 campaign. He had been rumored to be in the running for previous managerial jobs in Toronto, Chicago, and Boston. Qualifications: Espada spent eight seasons managing and coaching in the Marlins organization. From there, he took a special assistant job with Brian Cashman, the Yankees GM. For two seasons, he was the Yankees infield coach and third base coach. In the last two World Baseball Classics, he has coached for the Puerto Rican team and he manages in the Puerto Rican winter league. Qualifications: Hyde coached and managed in the Marlins organization for the better part of a decade. This included stints as the acting manager and the team’s MLB bench coach. He’s served as bench coach and first base coach under the last two Cubs managers, Rick Reneria and Joe Maddon. Last off-season, he was offered a job with the Mets but decided to stay with the Cubs. Qualifications: Derosa retired from baseball in 2013 and accepted a studio analyst position with MLB Network. He has no professional coaching experience. The Star Tribune wrote of the club’s interest in him last weekend. Qualifications: He famously retired after the Cubs run to the 2016 World Series title. Since his retirement, he has appeared on shows like Dancing with the Stars and Saturday Night Live. He has also written a book and worked closely with charities in the Chicago area. He has no professional coaching experience. The Star Tribune wrote of the club’s interest in him last weekend. Which external candidate seems like the best fit for the Twins? Or will the club go with another internal candidate? Leave a COMMENT and start the discussion. I think Alomar jr or Espada.Twins need a manager to connect with the Latin players, and this may work.It is worth a try. Both are good baseball men, but do not know philosophy of this front office. Any of the candidates would be wonderful. The Twins are going in a...new direction. That's fer sure! Do see a couple holdovers from the current coaching staff and maybe Tommy Watkins elevated from the minors. I’m concerned that the two candidates that seem to be “in the lead” have zero coaching or managing experience at any level. I don't think at this point that anybody is "in the lead". Alomar was with Cleveland when Falvey was there so is enough there to get past that. I still hope that's the case. Whoever it is, I hope it is someone that embraces analytics and can relate to the younger players.The new manager needs to be able to connect with Buxton, Sano, Polanco, Kepler, etc. I really don't know if any of them are any good I do know they don't excite me. None of the people reported to be on the internal or external lists are blowing up my kilt. Looks like another yawner and another extension of the 20-year rebuilding plan to me. Think I'll stock up on paint. I hear its pretty exciting watching it dry. I'm a big advocate for a latino manager, especially one with a Puerto Rican background, to vibe with our younger players. I don't have a problem with most other candidates, and I think that David Ross has a great personality for the job. The one I'd be most avidly against is Mark DeRosa. I've never taken DeRosa as being that smart of a person. He seems to have a lot of opinions and can get quite talkative and lippy, but I don't hear much insight/facts/evidence in his arguments. He can stay at MLB Network. Billy Martin. Oh . . . wait. Funny how everyone had an opinion about firing Molitor, but no one has a definitive opinion about the replacements. It's almost like we don't have a way to quantify who is a good manager. Managers are pretty replaceable. A few are downright terrible and cost their team wins, but most (of those who make it that far) are pretty much care-takers; precious few can be thought of as difference makers. And they have a short shelf-life, in terms of the players hearing the same message over and over for several seasons. Nothing wrong with trying someone with a little different personal style. Molitor wasn't finding answers. So moving on seems fine with me, and I generally was in the mood for change before the axe fell. Doesn't mean I have insight into the clubhouse to guess who should be tried next. I'd be inclined toward a tough-love disciplinarian, and I don't know which of the candidates are that, but where it comes to managers change-for-change's-sake is enough. Agreed, we seem to have the same viewpoint of managers. Honestly I don't care all that much about Molitor being fired. There's certainly an expiration date for all managers delivering the same message year after year. And now that we're in this spot, and people who complained all season long has an outlet to give their opinion who is a better candidate are no where to be found. Not sure about the interest in DeRosa or Ross. Neither leaps off the page as being a must-hire. Maybe those are the smoke screens. Espada is a pretty interesting candidate, I think. Mrs Ash was also on record as favoring Molitor's firing. Forget those guys. Let's just back up an armored truck and hire Terry Francona. Assuming the Indians hire either Mills or Alomar as his replacement, we still probably get one of them coming with Tito. It's a two-fer and you know how this team loves a bargain. I'm not sure that it's a coincidence that the two guys who are in broadcasting are said to have drawn interest from the Twins. Maybe the Twins are interested, or maybe these two just want to get their name out there and have the connections to do so. I'll buy the Twins interest in those two when I read that they're sitting down for an actual interview. Thinking Molitor wasn't a good manager is completely unrelated to having a better candidate in mind. Finding a better one is Falvey/Levine's job. Personally, I'll reserve my judgement on the new person until he/she has had a half season of performance to judge from. I'd just like to start with a guy who matches the philosophy of the new front office. Even if their philosophy turns out to be an incorrect view, I can't help but think things will still run smoother if everyone is on the same page. Molitor didn't have to be at fault for anything, but as evidenced by his dismissal, he as a square peg for their round hole. I wouldn't have wanted to keep trying to make that work. Mills is over 60, isn't he? Like the pedigree of Espada, especially two years watching Cashman up close.Speaks Spanish.Must be fluent in analytics, Puertorriqueno would help with Berrios and Rosario. I think it is interesting that national writers consider the job attractive. They understand they would have one of the most notoriously cheap owners in MLB, right? That's it? "Dancing with the Stars"? TV analyst? Bench coaches? 1B coaches?The Twins can do better than that. Along those lines, I would like to suggest a guy I know,who lives in a van down by the river.